Knowing plants vs. Identification of plants. I've been seeing a real trend lately(and perhaps it has been going on for a while but I had not noticed) with people purporting to "know" a plant, but then knowing absolutely nothing about it besides how to properly I.D. said plant and say its Latin name. This is not knowing a plant. Knowing a plant is a process that takes a long time. I should clarify: Knowing a plant properly takes a long time. No, not an interaction once or twice. No not having harvested a plant for one season. Real knowing, real absolute heartfelt understanding of a plant can be a process that takes years. This is something I have had to come to terms with even for myself on many occasions. We all have an egotistical tendency to think of ourselves as experts at everything we do. Even with an abysmally low amount of evidence to prove our "expertise" we humans still hold onto the feeling of superiority in knowledge. And it is to that lack of knowledge that I am dedicating this blog post to. First and foremost, let me state for the record, I am not here to say that I am the expert here to save the day. I am but a tiny speck in the wide world of foraging, and its important for us to acknowledge that out in the open, especially if we are foraging teachers. This knowledge that we have is not a finite knowledge. It is a knowledge that grows with regular feedings and care. I am 34 years old, and I have been actively engaged in the procurement and identification of wild plants for about 12 years. That is nothing compared to some elders I know that have been picking mushrooms for over 4 decades, or some indigenous people that have never known any other way of life. If you are a forager, or a foraging instructor here in the US, chances are that this way of life is a luxury lifestyle, and not one born of necessity(although for health reasons one could argue that it is indeed a necessity). One of the biggest takeaways of my life, is that you should run from those that call themselves experts. A little humbleness goes a long way in my book. Not only is it irritating seeing these "experts", it's also dangerous to the public at large. When the only knowledge you are spewing to the public is a plants Latin name and that it is edible, you are essentially telling a tiny portion of the story. Imagine looking at a painting through a keyhole then going around professing you know everything about the painting and how it was made. You see my point. This is not expertise and it should not be thought of as expertise. I know how to check my oil, but I'm not about to tell you how to fix a motor. Food divorced from knowledge conjures up one exciting example in my mind; Corn. Throughout the Americas people cultivated and ate an astonishing variety of different corn. Zea Mays originated in Mexico as a tiny grass that some real wizards turned into a plant that is now found in most peoples bodies in the world. Pretty amazing when you think about it, but that is off topic. The good of corn is that it is indeed a very calorically dense crop and it can put out a lot of crop per acre. Wonderful right? Not so much without a teensy tiny little detail. Unless the corn is processed correctly it results in a product that has no b3 available to the body and this results in a little thing called Pellagra, or Niacin deficiency. This is exactly what happened when Europeans took corn back with them to Europe after eating and enjoying it here on Turtle Island. They took the product with them but not the knowledge and a whole lot of people suffered as a consequence. What does this have to do with wild food? A lot. Without proper know-how or knowledge of when to harvest certain crops you could damage your health or the health of others. Or you could miss out entirely by not knowing your calendar of harvest. For instance, I have been told that harvesting Stinging Nettle(Urtica dioica) for food after it has flowered is damaging to your kidneys as the old leaves contain cystoliths. But if you dry the old leaves and use them for tea then you inactivate the cystoliths, thus making this a safe product. But this is something you would never learn if you took advice from somebody that has had no real interaction with wild plants besides having a fetish for saying what sound like Harry Potter spells. If you are a foraging instructor, it should be ok to admit you don't know every single plant and how to use them. I make it a practice, even when teaching classes, to readily admit when I don't know a plant. Embarrassment or not, it's better to fess up than to act as if you are some incredible superhero with the knowledge of all that is flora. It should also be a rule that you don't teach about plants that you have no real clue about. Just being able to ID a plant is not a basis to talk about your expertise on it. Have you harvested it? How many times? In what way did you prepare it? What is the historical context for its use? Have you found an extremely efficient way to harvest and/or prepare it? What tools or lack of tools do you use to harvest? What are its plant cohorts? Does it like wet soil? Dry? In between? What agricultural zones will it grow in? Do other animals use it? How? All of these questions should be easily answerable to any "expert" on any plant they purport to teach you about. 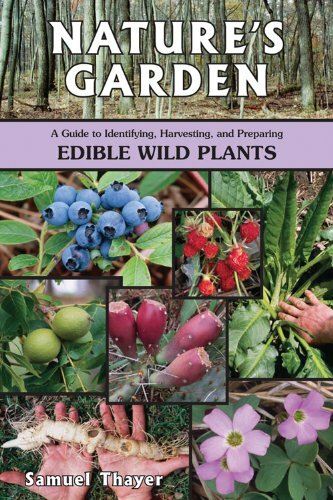 Now none of this is to say that there is no use in the identification of wild plants. That is a very good skill to have and if that is what you are into then I support you. I consider this akin to birdwatching and I personally find this a fascinating hobby that some people have. These people however are not experts at foraging, which is what I am discussing here. Being able to look at and identify wild rice(zizania sp) is in no way at all comparable to having years of experience harvesting rice. Ricing takes years to even begin to know. I have been ricing for five years and it is a major staple for my family, and I still feel like a rookie. I harvested enough wild rice to feed a family of four, and I still have rice from last fall, and I still feel like I am learning the ins and outs of what it takes to be a good ricer. You cannot expect to get into a canoe one day and instantly become the leading authority on harvesting wild rice. I know people in the indian communities here that have been harvesting for decades and they still tell me they are just learning. I find it insane that I have to point this out, but I do. Foraging is becoming very popular these days. Very popular. And this popularity can be a very good thing, or it can be a very bad thing, and it is up to all of us to steer it in the direction of good. 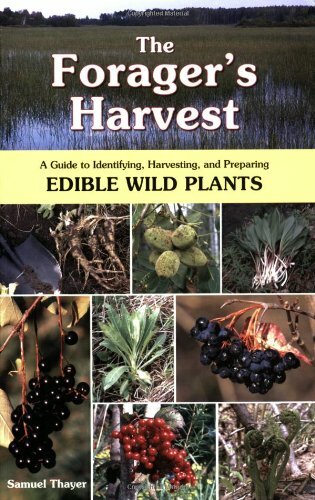 There is much talk about the sustainable harvest of wild foods, and while I feel that is a good concept to discuss, it should be equally important to discuss whether or not people teaching these plants and mushrooms to others are even qualified to be doing so. Teachers should be able to show others that they are indeed foragers themselves and not just plantwatchers. With popularity there comes with it a need to have community policing of things like people purporting to be experts. Nobody that has been foraging for two or three years should be teaching foraging classes. That would be like me teaching a hunting class. Im too much of a newb for something like that. I have not yet learned the nuances of hunting. That is not to say that you haven't acquired knowledge in those two or three years, because you can learn a vast amount in that time, but that vast amount hasn't yet had the time it needs to ripen into wisdom. Hopefully in the future the population can all be like Sam Thayer, foraging since six years old and just unbelievably knowledgeable about plants and ecosystems. This might indeed be a possibility for our kids and their kids if we move now to make sure that people that teach are doing so with real true expertise. If you want to read more about things pertaining to 'instant experts' I highly suggest all of Sam Thayers books. Link below.